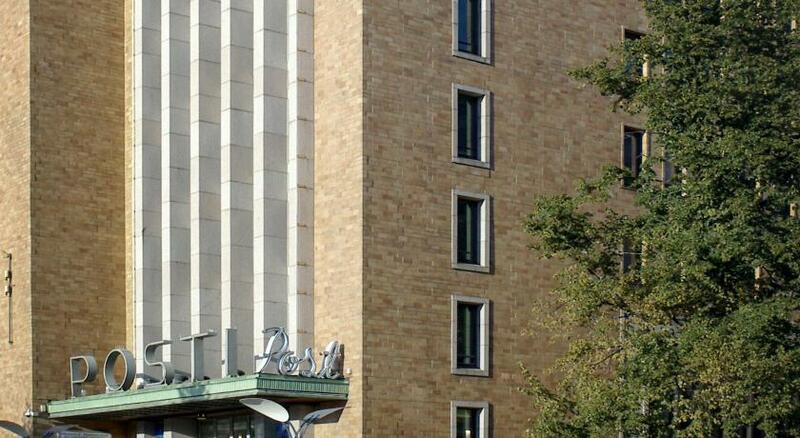 Lock in a great price for Radisson Blu Plaza Hotel, Helsinki – rated 8.6 by recent guests! Very nice, clean and modern hotel. Comfortable standard room with giant bed and equipped with all the necessary things - a kettle, minibar, a huge TV. Hotel personnel is polite and quick, no problems appeared. Sauna is on site, separate though. Located 2 mins from the central RW station and the main shopping centers. Very good breakfast, that is worth trying. Affordable standard rooms with sauna, which makes the hotel even more attractive. Staff was very friendly, breakfast was good and the location is great. 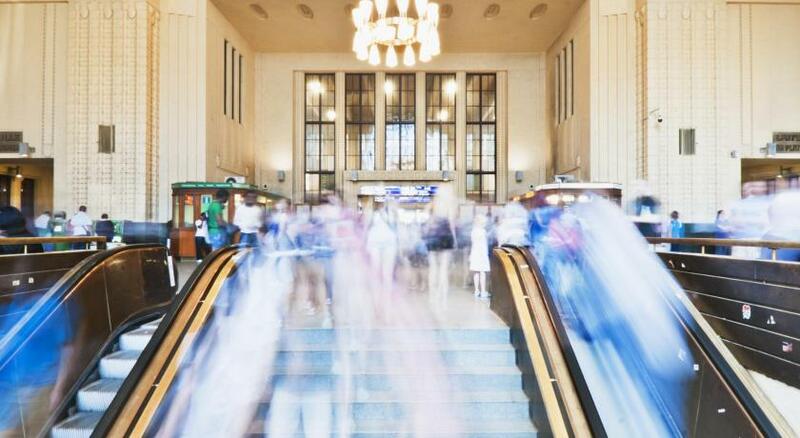 Easy to find and convenient location only 150 metres from the Central Railway Station and closer to the tram stops. Excellent restaurant with superb food. Very comfortable bed with wonderful soft pillows. A good central location with a great restaurant across the road and the Casino very close. Breakfast buffet was amazing, and the location was perfect. next door to the central station and walking distance to many attractions. 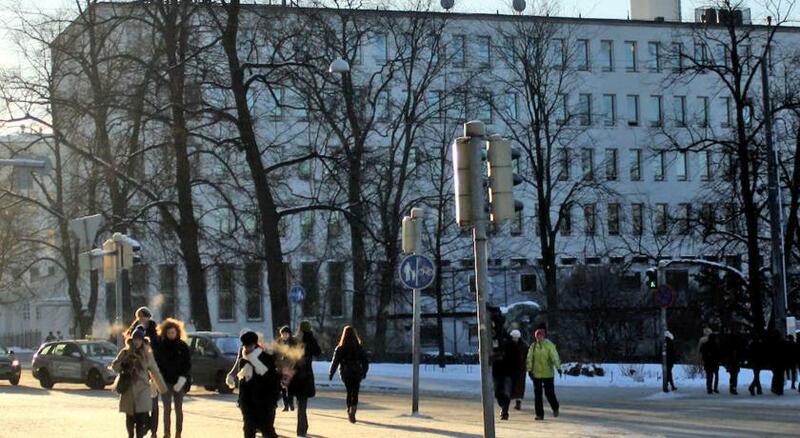 This hotel is a great spot to explore Helsinki, especially on a quick weekend trip as we did. The staff was great, the beds are super comfortable and the breakfast included is buffet style and has everything you expect from a hotel breakfast. The bar area is super cool to go and have a drink once you come back from exploring the city. I went in winter, so it was great to have somewhere to go and hang out away from the snow. It’s centrally located. Very Good Rooms, Business Lounge acess was totally delightful. Recommend this hotel to everyone. Excellent buffet breakfast. Loads of vegetarian, vegan, gluten free and lactose free options. The staff went out of their way to organised early check in and late check out for us which was a godsend after arriving from long haul flights at 5am and leaving on an 11pm train. Great location, walking distance to so many attractions. Would absolutely stay here again. 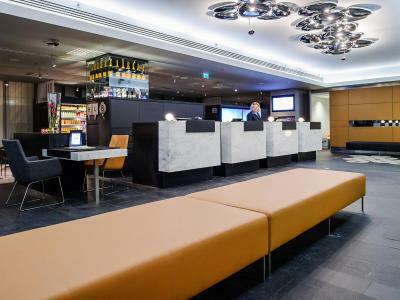 Radisson Blu Plaza Hotel, Helsinki This rating is a reflection of how the property compares to the industry standard when it comes to price, facilities and services available. It's based on a self-evaluation by the property. Use this rating to help choose your stay! 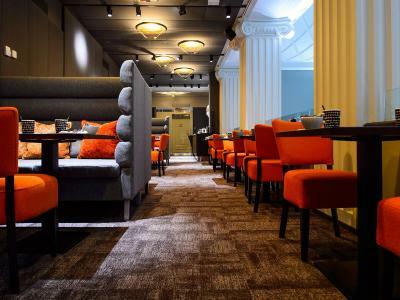 One of our top picks in Helsinki.Featuring the Plaza Restaurant, this historical hotel from 1917 is next to Kaisaniemi Park, 500 feet from Helsinki Central Station. Free fitness center access and modern air-conditioned rooms with free WiFi are offered. 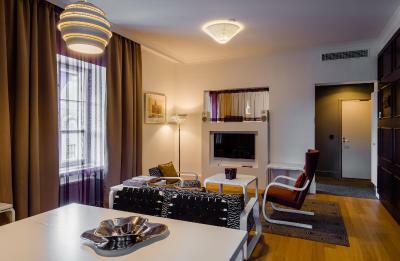 Each room at Radisson Blu Plaza Hotel Helsinki is decorated in style with Finnish design items. Rooms are equipped with a flat-screen TV, tea/coffee maker and Magic Dream beds with a pillow menu. Some rooms offer city views. Plaza Restaurant also serves drinks, while snacks and light dishes are offered at the 24-hour lobby bar. Room service is also available all day long. Plaza Lounge offers a catered experience and guests who have lounge access included can enjoy breakfast here, as well as coffee, tea and snacks throughout the day. A cocktail buffet, including free beverages is served daily between 17:00-19:00. A range of newspapers and magazines are also provided. 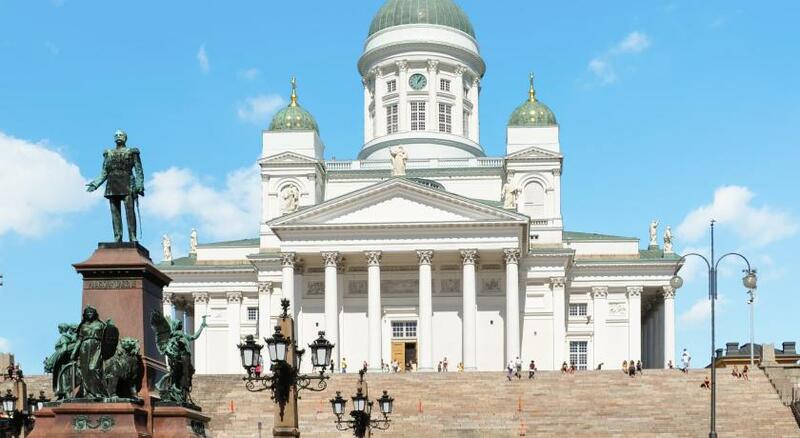 The Grand Casino Helsinki and the Finnish National Theater are both within a 5-minute walk of the eco-friendly Radisson Blu Plaza Helsinki. The Aleksanterinkatu shopping street is 1,300 feet away. 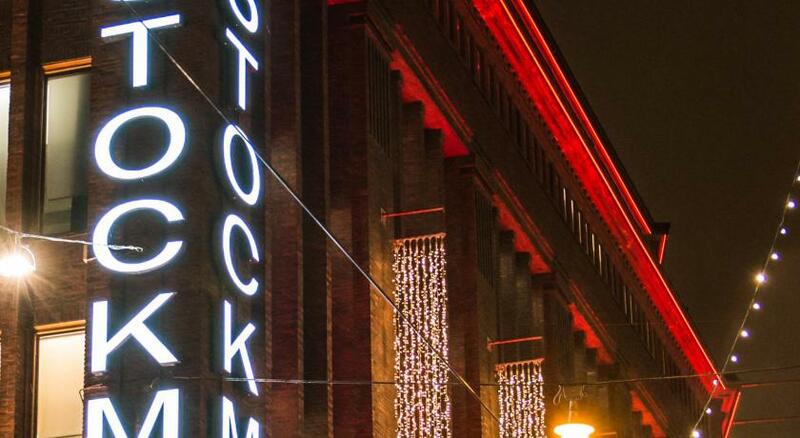 Kluuvi is a great choice for travelers interested in shopping, city trips and museums. 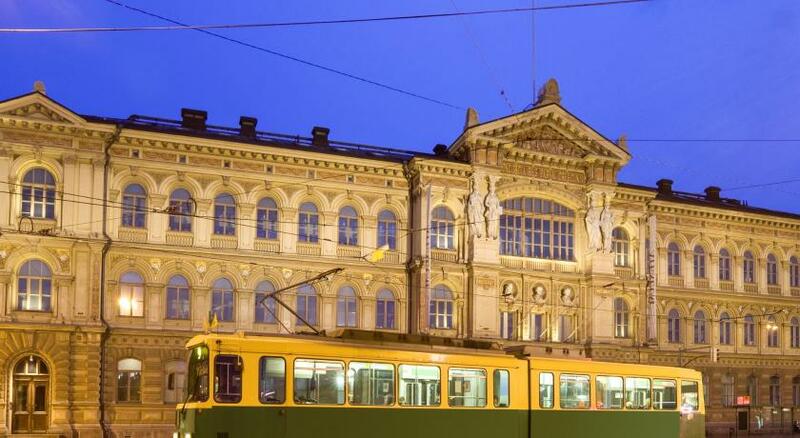 When would you like to stay at Radisson Blu Plaza Hotel, Helsinki? Large suite with a separate bedroom and living room. Includes modern facilities such as a 42-inch LCD TV, surround sound system and Nespresso coffee machine. The bathroom features a TV and luxury toiletries. This room includes access to the Executive Lounge. Spacious, top-floor suite with a separate bedroom and living room. Includes modern facilities such as a 42-inch LCD TV, surround sound system and Nespresso coffee machine. The bathroom features a TV, private sauna and luxury toiletries. Some feature design furnishings by Alvar Aalto. This room features a private sauna, as well as a 42-inch LCD TV, surround sound system and Nespresso coffee machine. The bathroom features a TV and luxury toiletries. This spacious corner suite is located on the top-floor and features city views, a 42-inch LCD TV, surround sound system and Nespresso coffee machine. The bathroom features a TV and luxury toiletries. Some suites feature design furnishings by Alvar Aalto. Upper-floor room with a 42-inch LCD TV, surround sound system and Nespresso coffee machine. The bathroom features a TV and luxury toiletries. 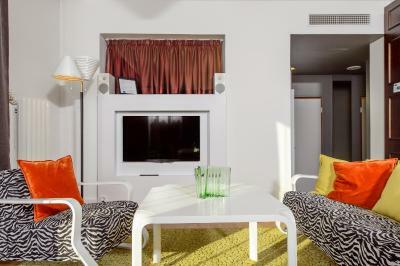 Features modern Finnish design, a flat-screen satellite TV and air conditioning. Hotel surroundings – This neighborhood is a great choice for travelers interested in shopping, city trips and museums – Check location Excellent location – show map Guests loved walking around the neighborhood! 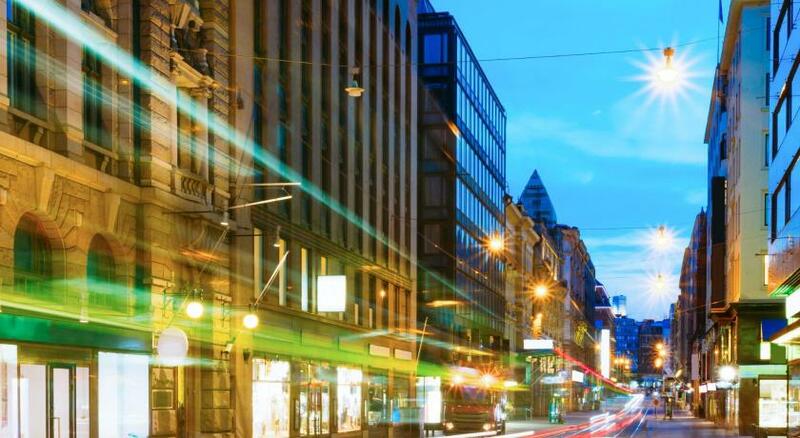 House Rules Radisson Blu Plaza Hotel, Helsinki takes special requests – add in the next step! Radisson Blu Plaza Hotel, Helsinki accepts these cards and reserves the right to temporarily hold an amount prior to arrival. small rooms, badly heated. Quite cold in the rooms (End of March). very good breakfast. Perfect location. Mattress was awful. Falling apart and moving out of its place too easy. Pictures on booking.com are much more brighter. In real life all the colors are darker and rooms feels smaller. Not fuchsia color at all. More like dark violet. I wanted bright room and got this 🥴 Also not extra clean room. Expected better for 139€ from Radisson chain. One of the best breakfasts I have ever eaten. Backyard view. Lack of amenities (no toothbrush, cotton puff or cotton swabs). Good location near railway station, close to main shopping malls. Delicious breakfast. Clean and excellent tap water. good breakfast, excellent people in reception, will come again. Coffee at breakfast tasted like instant coffee which is a shame is city so well known for great coffee, but this is only a small gripe compared to how great the rest of the facilities where. Great location, stylish hotel with a broad selection for breakfast. Just a tiny disadvantage - separate sauna. Would be great to have a choice to sit in warm together. We had to change room as the bathroom in the first room was not properly cleaned and the sink knob was broken. The hairdryer was also broken (but functional) as it was in the second bathroom. In the new room we advised the reception we had mosquitos, but nothing was done to clean the room. Overall we'll not come back here as the price is too high for such poor maintenance and home keeping, which arein my opinion the biggest problem of this hotel.